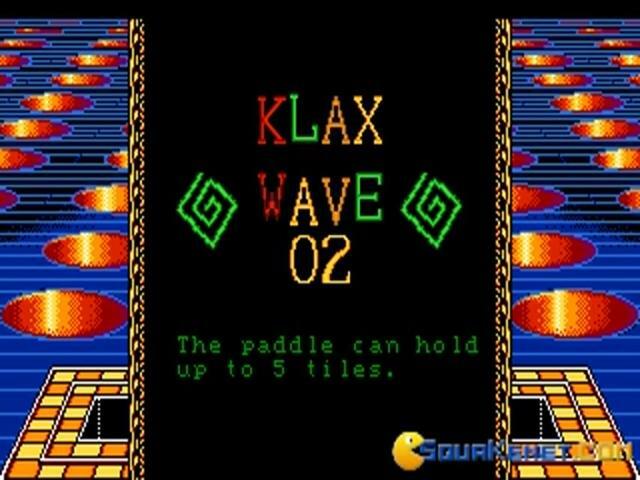 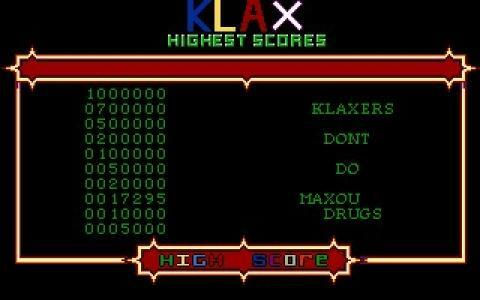 Klax, I love this game, it is like an early Guitar Hero or Dance Dance Revolution game combined with a standard Tetris style game. 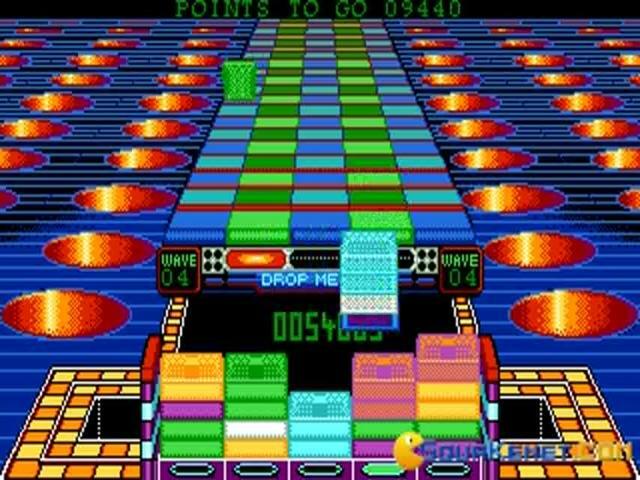 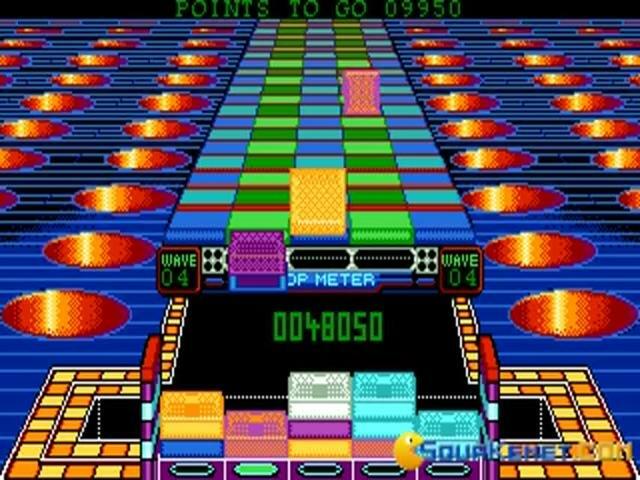 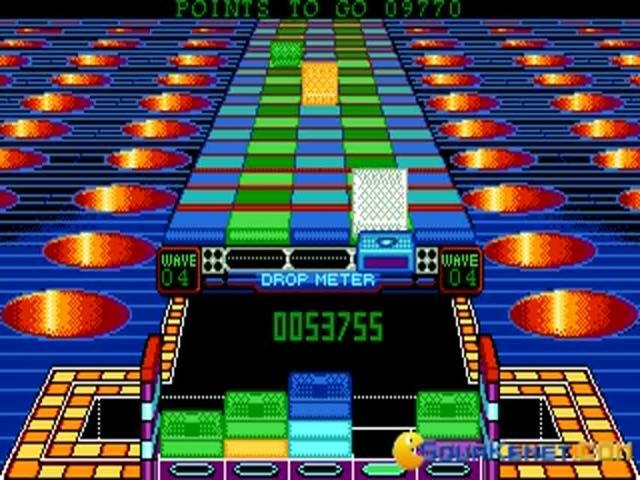 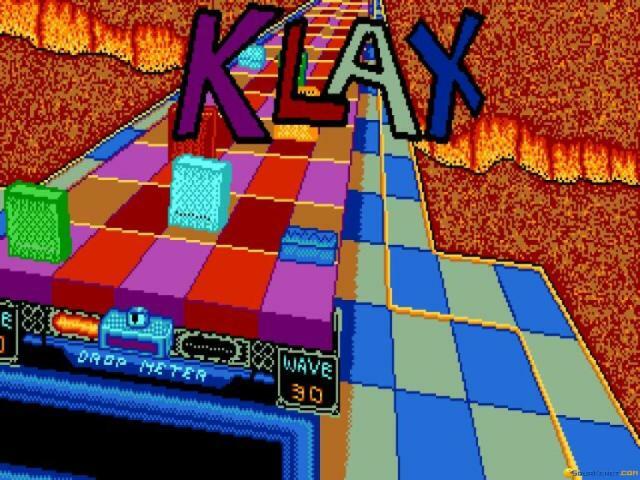 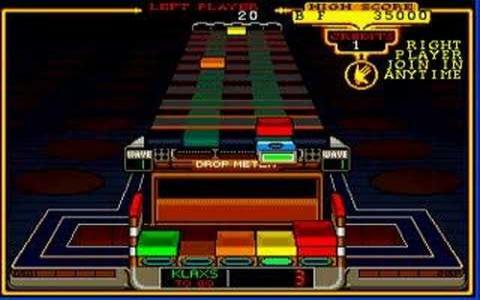 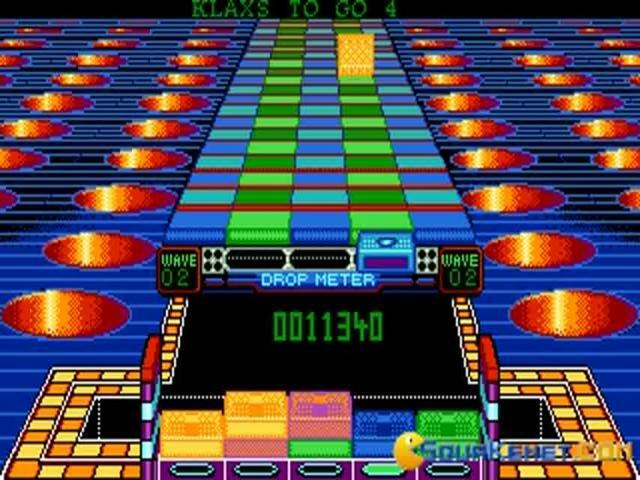 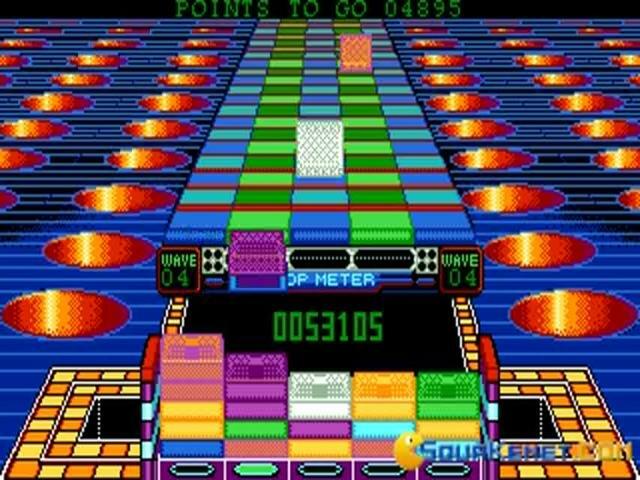 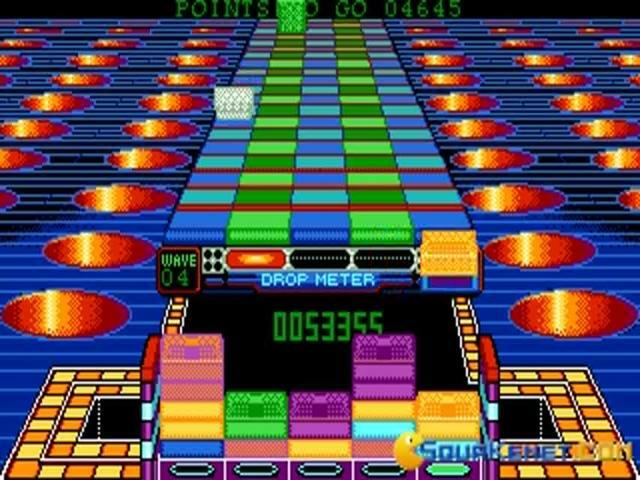 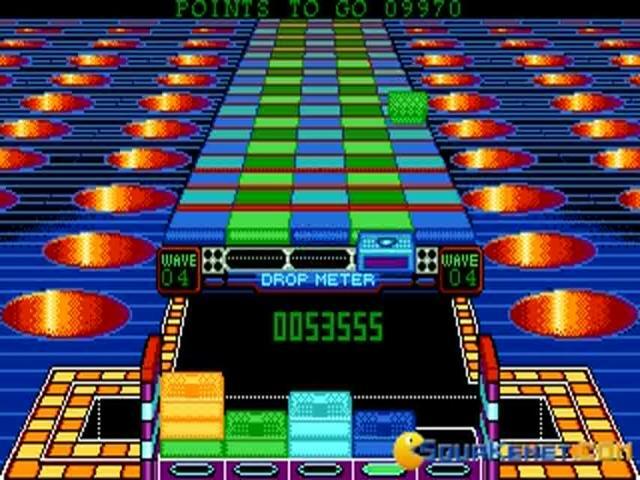 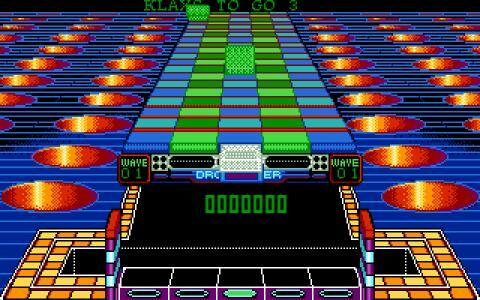 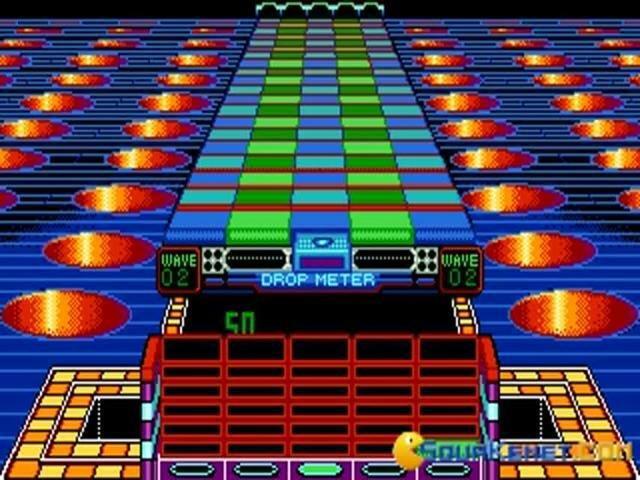 Klax makes use of every color available on the system, making it one of the most colorful games I have played. 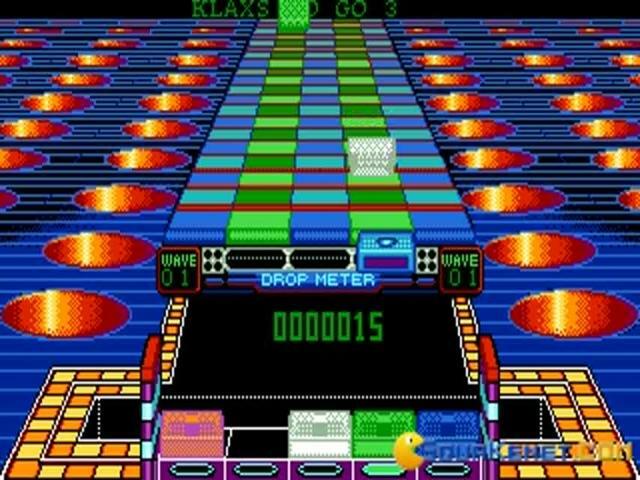 The games title cover shows a boy playing an arcade machine, but I never recall this game actually being released on the arcade. 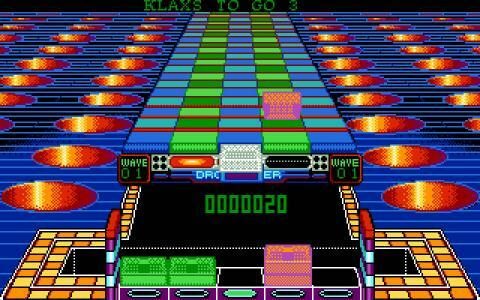 It was released on Sega Master System as well as DOS. 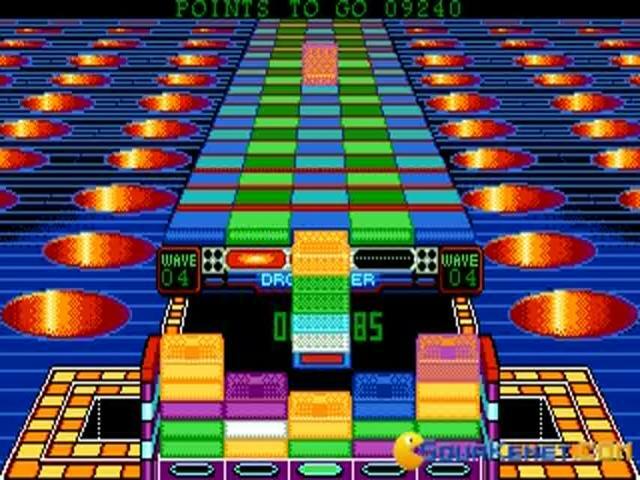 The game is an arcade style, puzzle game that features blocks falling from a conveyer belt and you must line the blocks up to make rows according to the different colored blocks. 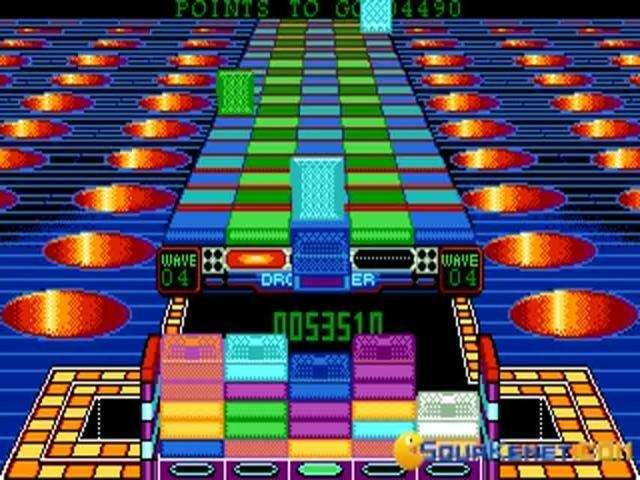 Basically just a variation of Tetris, with really cool looking backgrounds and using falling blocks with different colors rather than shapes. 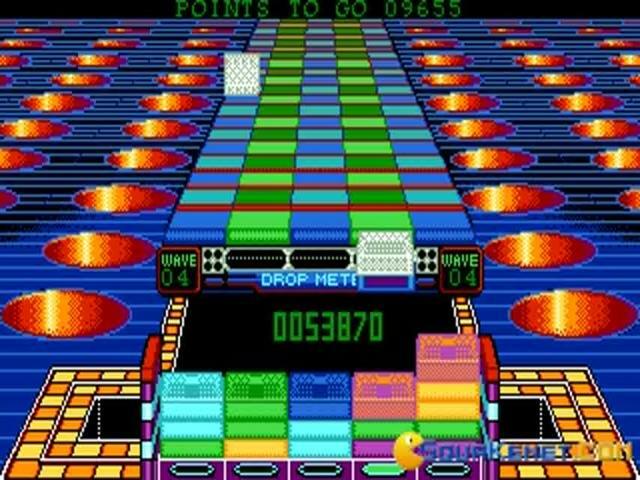 Once you get over the cool backgrounds and colors, the game becomes repetitive and short. 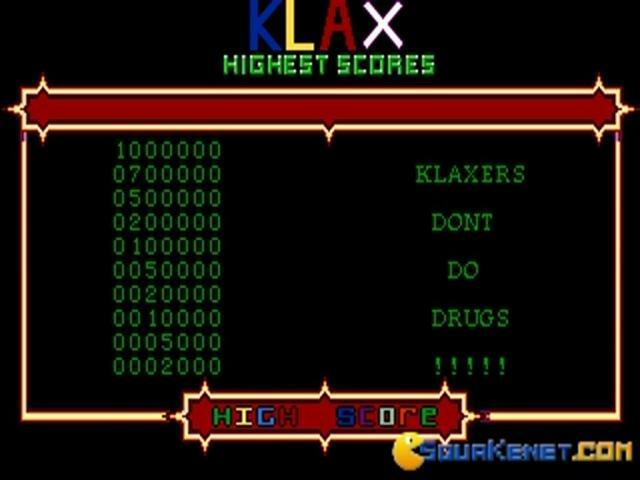 The game isn't that hard either, even with the difficulty setting on the hardest mode. 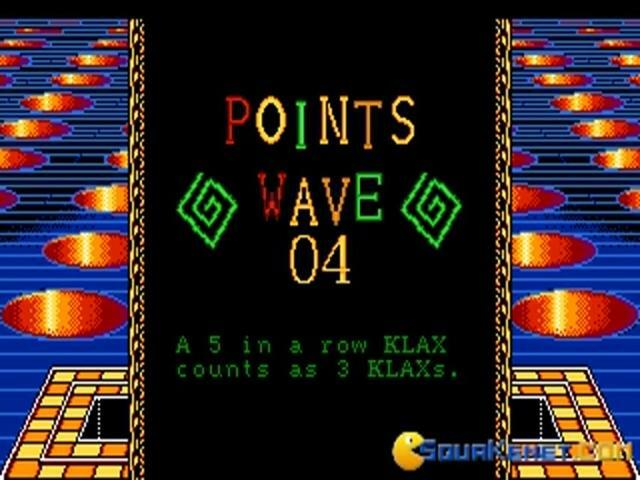 The replay value, is fairly low low unfortunately, unless it is just for nostalgia value or you simply just really want to play a trippy game that would probably give some people seizures.